Glad to buy such a nice dresses at queenabelle. I’m so so so excited. Just Thanks and share my Joy. Loved! Loved! Loved ! 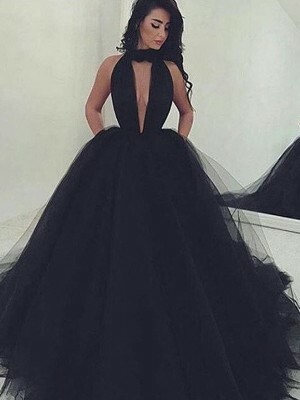 This dress! It's a must have. I was a little scared in the beginning but it was a beautiful dress. And it fit just right. Recently bought this dress for my sister and it fits her perfect! The quality and design of the dress is amazing. The picture didn't do it enough justice. Perfect size and fit. The dress fit better. The over all workmanship of the dress was excellent. Whoever the dressmaker was, she /he did a very good job sewing the dress, very clean seams, w/ a very professional finish to it. I reviewed this dress previously and my suggestions stand. I acknowledge the tedious task of making this dress. Das Kleid ist wirklich gut genäht. Das Material ist prima. Die Passform im Oberteil ist klasse. Der einzige Kritikpunkt ist, dass die Asymmetrie des Kleides (vorne kurz- hinten lang) nicht dem Bild entspricht. Auf dem Bild ist vorne kurz ca. knielang, in echt ist es ca. 20cm länger und auch hinten ist es wesentlich länger als auf dem Bild gezeigt. Insgesamt beträgt der Unterschied zwischen vorne und hinten keine 20cm und die Asymmmetrie kommt dadurch wesentlich weniger zum Ausdruck, als das Bild zeigt. Mycket fin och väl sydd klänning. Höll alla mått som jag hade angivit i beställningen. De höll vad de lova med frakttiden, beställningstiden. Lätt och behändigt. Det jag skulle vilja ha vetat innan jag gjorde beställningen var att de inte syr till barn. Jag provade beställa till min dotter med egna mått. När jag fick den klänningen som jag själv skulle ha kom inte min dotters. Jag kontaktade de dem och då fick jag meddelade, de mig och satte tillbaka pengarna som jag hade betalt för den. Samt att jag fick en kompensation på 50 dollar. I purchased this dress for my sister wedding. I received it in just a couple of days and am very pleased. 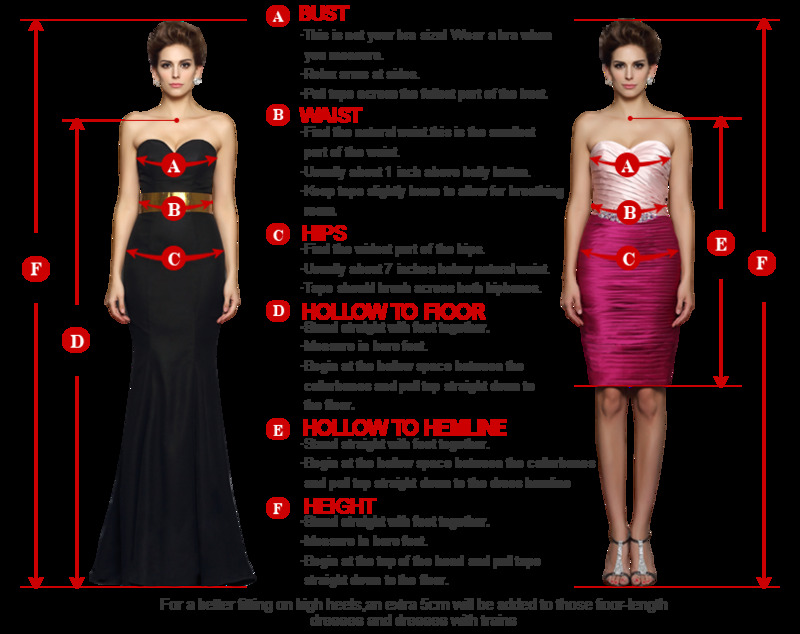 I measured closely using the measuring chart in the dress images and it fits like it was custom made. It is exactly what I was hoping for and fits fantastic. 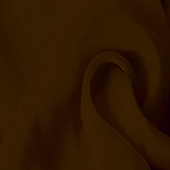 Olá, fiz meu pedido há pouco mais de um mês e o vestido foi entregue em perfeitas condições e em um prazo muito bom. Quanto ao vestido em si, é lindo e mais bonito do que imaginava. A qualidade do tecido também é muito boa. Me caso em abril e já economizei um bom dinheiro sem abrir mão do vestido de noiva dos sonhos. Jaqueline/Rio de Janeiro. I bought this dress in dark green and it is really beautiful! The green is natural and beautiful, like forest or leaf green, but a little lighter that I expected. The dress is really long which is good, because I am really tall, but even I will have to wear relatively high heels with it to prevent it from touching the ground. It is well made and fits beautifully. I am really satisfied and would definitely recommend this dress! 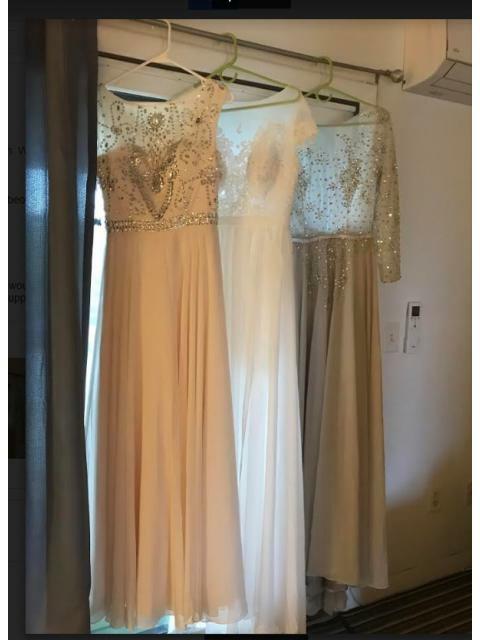 Amazing Amazing online store, I have purchased twice now from queenabelle and i'm amazed at their fantastic customer service and the quality of the dresses at such a fantastic price. I bough a dress, and it was stunning, I was so impressed that I have now ordered a beautiful dress for myself. Looks beautiful, came today and cannot wait to try it on!! 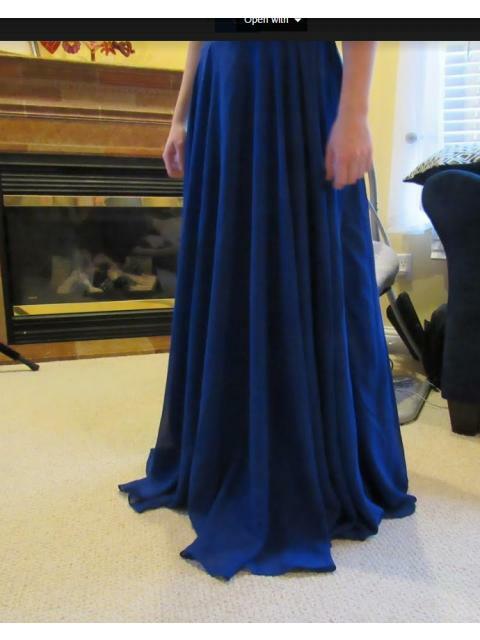 Only things is that the description said that it had ruching around the waistline, this was not the case for my dress. Still, cannot complain for the money! It was better than expected! Love it! The dress has arrived. It is a perfect fit and I can't thank all of you enough for your help in getting it here on time, in the right size, the right colour and the right length. It is stunning on my daughter. You have made one little girl very happy! I was wondering, is the neckline very low? Will it be appropriate for a 15 year old girl? Otherwise I love the dress! Das Kleid passt perfekt und war innerhalb von 5 Tagen nach Versand da. snon interessata a questo abito ho ugentemente bisogno di una risposta,quanto tempo passa dal momento che faccio l'ordine all'arrivo a casa? 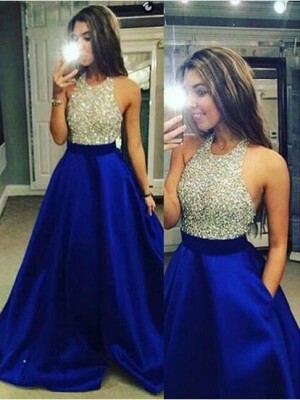 Meninas, comprei este vestido e realmente é muito lindo, vale a pena comprar! The chiffon fabric on this dress makes it feel very rich. The size seems to run a bit small but overall the fit is excellent. It is rusched along the center in the front and back which gives it a very slimming appearance. I am very excited to wear this wedding dress for a casual beach wedding. il nastro in vita si può avere di colore rosso? Good quality dress. Ordering another one using them for my bridesmaids. I did it by measurements but the hip seems too tight on both. This dress is awesome. It fits like a glove, with custom measurements. (I appreciate that option because I'm a wierd size.) Here it is at the Marine Corps Ball this year in Dark Navy. I was a little hesitate to order my wedding dress online after some of the horror stories i've heard but my experience could not have been further from this! i found the ordering process simple and once i ordered my items i was easily able to track them. 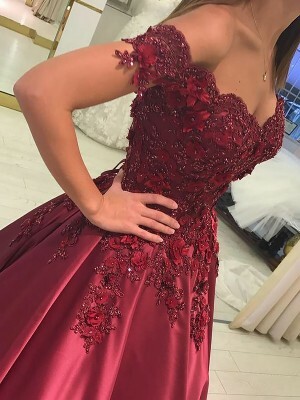 I ordered this dress in a size 20 and did not get the item made to custom measurements (as i figured i would probably need to get it altered anyway once it arrived). The item arrived within two weeks (to New Zealand) and was well packaged. 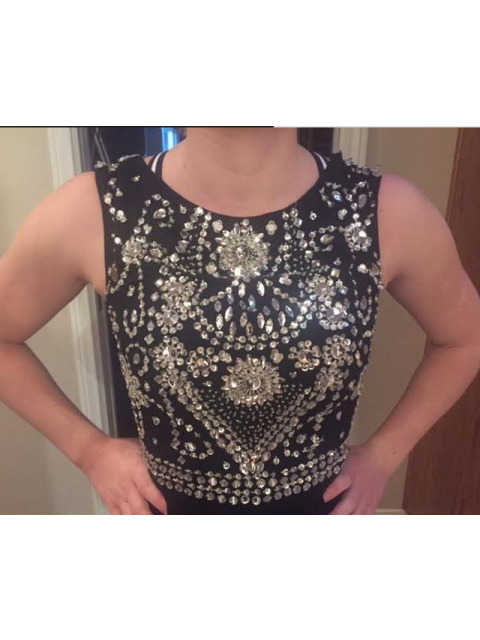 Dress is true to the images and description online and i'm very happy with it! Veldig flott kjole som faller godt. Great Dress!!! Fits perfect!! A little late in delivery and delivery company delivered to wrong address. However everytide were very helpful through out this providing me with excellent customer service!! Will certainly buy from here again!!!! Огромное спасибо за платье, все идеально и очень качественно, платье как по мне шито!!! The dress was more beautiful than the picture shows. We were extremely satisfied with this purchase. So satisfied that we purchased the bridesmaid dresses from you. This order arrived from the USA to Australia very quickly & the gown itself is absolutely gorgeous. Even better than in the photo, if that is possible. We purchased it in white. Size 2 is true to size. The beading was beautifully finished. Extremely happy with this purchase. 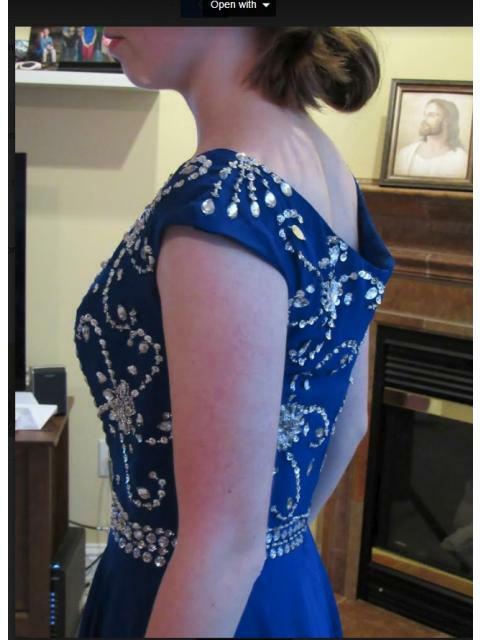 Got it yesterday, my dress looks exactly the same as the picture shows! Unfortunately I did have to return because my daughter told me the wrong size. Otherwise I would have definitely kept it!